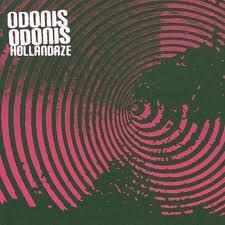 Hard-boiled and soft-boiled come the songs exploding from the new Odonis Odonis album. While this band may have its roots in the Toronto DIY scene, they are more reminiscent of the Brooklyn industrial-psych scene, exemplified by bands like December Sound. The track ‘New Obsession’ could easily slide onto a Place to Bury Strangers album. Don’t try to pin this band down too much, however. HBSB moves easily between all sorts of genres from EBM (‘Are We Friends’) to straight up dream-pop (‘High Note’ and ‘Alexa Wait’). There's even a nod to screamo on ‘Order in the Court’ (Only a slight nod. OO should not be playing for upperclass 14-year-old boys banging their heads in their bedrooms). This is one genuinely great album. It all revolves around the rather ingenious songwriting of Dean Tzenos, lead vocalist and guitarist. With all-star guests, including The New Pornographers, and clearly first-rate production, Tzenos weaves a complete set of industrial-strength songs. 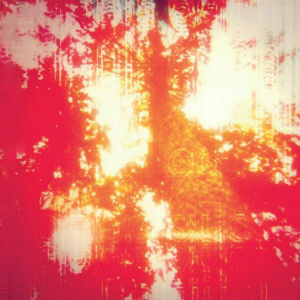 The album starts out heavy, with pounding drum machines and frenetic basslines colliding with immaculately discordant guitars, and then blends, on the soft-boiled side of things, seamlessly into the sort of dream-pop electronica and shoegazing which was more prominent on their early stuff. Regardless of where Dean Tzenos wants to take the machines or the structures, it all works brilliantly on Hard Boiled Soft Boiled. Odonis Odonis have hit a best-of-breed level on this one. I suspect their concerts would be well worth the price of admission.